The location was excellent, and the staff were helpful. We had an awesome view of the ocean and could walk comfortably to virtually any part of the island. I plan to book another stay in the future. Right on the beach. Had my own balcony that faced the beach. Could hear the ocean at night. Staff is friendly and check in was painless. On the beach. Nice to sit on the sand and watch the sunset with a bottle of wine. The staff were very friendly and the peace was excellent. I came for a rest and definitely had one. It was good that hotel guests got a reduction on food/drinks. The view from our balcony was spectacular, particularly in the morning. It was incredibly peaceful and a good night's sleep. The room was simple, yet well equipped. Staff are really good. Beach in front makes the location amazing. Right by the beach, could almost roll out of bed into the sea every morning! Very friendly staff. Quiet location. Draft beer downstairs. Excellent view on the beach, and easy to find. Bed was comfortable with a small balcony. Quite a comfortable and enjoyable stay. Concerto Inn This rating is a reflection of how the property compares to the industry standard when it comes to price, facilities and services available. It's based on a self-evaluation by the property. Use this rating to help choose your stay! Offering quiet beachside accommodations, Concerto Inn is located beside Hung Shing Yeh Beach on Hong Kong's Lamma Island. Overlooking tropical gardens and the sea, it has free Wi-Fi and a restaurant. The seaside is just steps away. Fully air-conditioned, rooms are painted in white and complemented with shades of yellow and blue. Each is equipped with a flat-screen TV and mini-bar. Selected rooms come with private balconies. Concerto Inn is a 30-minute ferry ride from Hong Kong Island. Lamma Island's pier is a 20-minute walk from the property. Guests may make use of the resort's laundry and ironing services. Outdoor gatherings can be held at the barbecue facilities. The beachside restaurant serves fragrant coffee, as well as a daily à la carte breakfast. Afternoon tea and dinner can also be enjoyed there. When would you like to stay at Concerto Inn? Spacious room with a double bed and pull-out sliding bed features a work desk and private balcony with views of the sea. A chargeable extra bed can be provided upon request, subject to availability. 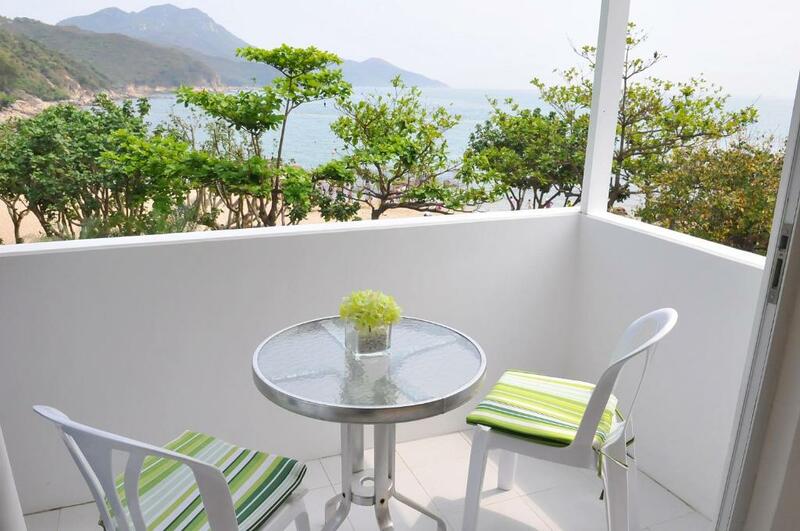 Located on the 1st floor, room with a double bed features a private balcony with sea views. An extra bed is not available for this room type. Welcome to Concerto Inn, a relaxing island to recharge and revitalize yourself! In Concerto Inn, all guests are our most welcome friends! Our staff are ready to serve you with a warm and friendly smile. You are most welcome to experience the specially designed rooms, various food delicacies or beachfront banquets at Concerto Inn. Remember to explore around the island which is great for hiking, fishing, biking, swimming and sunbathing! We are proud of being the only hotel awarded as member of the Quality Tourism Service Association (QTSA) in outlying islands in Hong Kong. We warmly guests from all over the world! House Rules Concerto Inn takes special requests – add in the next step! All children under 12 years are charged HKD 200 per night for extra beds. Concerto Inn accepts these cards and reserves the right to temporarily hold an amount prior to arrival. If guests require a reservation of more than 5 nights, they are requested to contact Concerto Inn directly and room payment is required in advance. If typhoon signal No. 3 or above is hoisted until or passed 15:00, no cancelation charge is required. For those who check in with pet, an additional deposit and cleaning fee will apply. Please kindly contact the property for more information in advance. All credit card registration has to be matched with guest's personal identification during the booking, otherwise third party authorization is compulsory. Concerto Inn remains the right to refuse any claims if the credit card information and guest's personal identification given have discrepancies, all liabilities are to be laid between the guest and credit card registrant. Concerto Inn will "NOT" reimburse any charges for any no show reservation and none responsibilities to be taken in accordance to the actual credit card registrant. A damage deposit of HKD 500 is required on arrival. That's about 63.74USD. This will be collected as a cash payment. You should be reimbursed on check-out. Your deposit will be refunded in full, in cash, subject to an inspection of the property. Bath water is either too hot or too cold, and never works well. Talked with staff, and they can’t do anything about it. The food was quite expensive at restaurants. Some staff can’t peak English. The price is low. The room is clean. The staff is friendly. The bathroom door gets stuck. Got us super scared at night. The restaurant served quality food, but it was understaffed and one entree would arrive ten minutes before another. This wasn't a big deal, however, since there are a number of other restaurants within walking distance. Perfect place just on the beach! 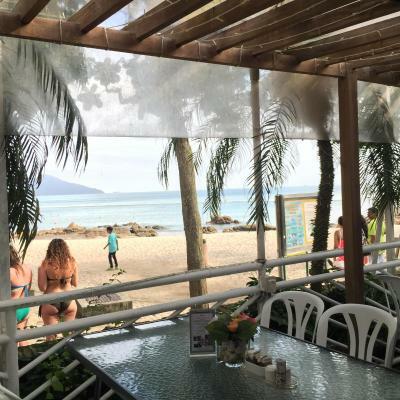 Jungles and the sea around you - perfect place to relax, listen to the sound of waves, walking around, and drinking champagne on the balcony with best friends in the evenings with the sparkling lights around! Perfect vacations! The property is on the beach which was great! Super comfy bed, lovely balcony to sit out. Peaceful. Lots of nice touches in the room! There wasn't any warning on the booking that you must carry all your luggages from the ferry pier to the hotel which took approx 45 minutes minutes because I have a 4 year old son and 3 pieces of luggage. It was really really difficult and i was on my own. On check out the staff (Zach) offered to help with with a trolly, to carry it back to the ferry with us which was wonderful. I think all bookings should be followed up with an advisory email about the long walk on foot to the hotel. Very good room with wonderful view of the sea and island. Staff very helpful and chatty. Athmosphere at night time was so relaxing and quiet. The staff were extremely helpful and friendly, tending to all our needs and exceeding expectations. The food at the hotel was one of the best options available on the island and the scenery from the balcony made this retreat perfect for those who just want to kick back and relax. 1) Bathroom’s hot water system was unable to keep in steady temperature . Sometimes cold and hot. 2) can add the vending machine for the customer while at night time. As no convenience store nearby. Environment is very good. I would like to recommend the FO staff - Vincent . He is professional and well prepared for the room design with me in advance. The bathroom is very small. I don't see how a heavy or tall person would feel confortable on the toilet or in the shower. The temperature of the water for the shower is... impredictable.... from very hot to very cold even without touching the switch. But I managed. Stay zen, you will too. The bed was really confortable, the view on the beach and the green hills was wonderfull, the staff very helpfull, there was tasteful cocktails and coffees. Great trecks just around the corner. Very quiet beach the morning. Great location : 15 minutes walk to the village with plenty of shops and restaurants, but without the noise!